A Saul Bell 1st place award winning design bracelet made in Knightsteel with radiating lines of Pure Platinum, Pure Gold, 22K Gold and 22K Rose Gold. 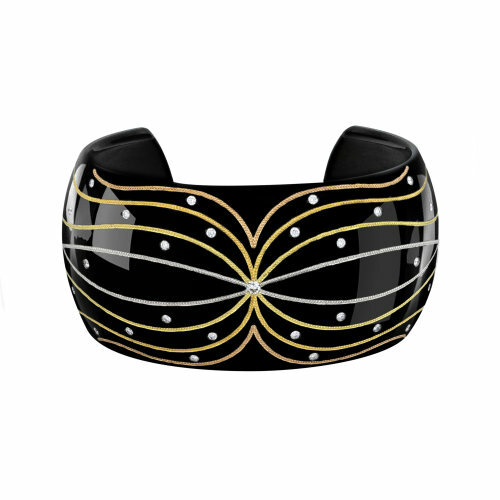 This wide cuff bracelet made in Knightsteel has radiating lines of inlaid Pure Platinum, Pure Gold, 22K Gold and 22K Rose Gold. Accented by one .06 ct. and forty .015 ct. Diamonds for a total weight of .66 ct.